Capt. Heide on one of her five EVAs (space walks). Captain Heidemarie M. Stefanyshyn-Piper was born and raised in St. Paul, Minnesota. Heide attended the Massachusetts Institute of Technology on a Navy ROTC Scholarship, where she earned a Bachelor of Science degree in Mechanical Engineering in 1984 and a Master of Science degree in Mechanical Engineering in 1985.​Selected as an astronaut by NASA in 1996, Captain Piper reported to the Johnson Space Center in Houston, Texas. She is a veteran of two space flights to the International Space Station: STS-115 on the space shuttle Atlantis in September 2006 and STS-126 on the space shuttle Endeavour in November 2008, logging over 27 days and 15 hours in space. 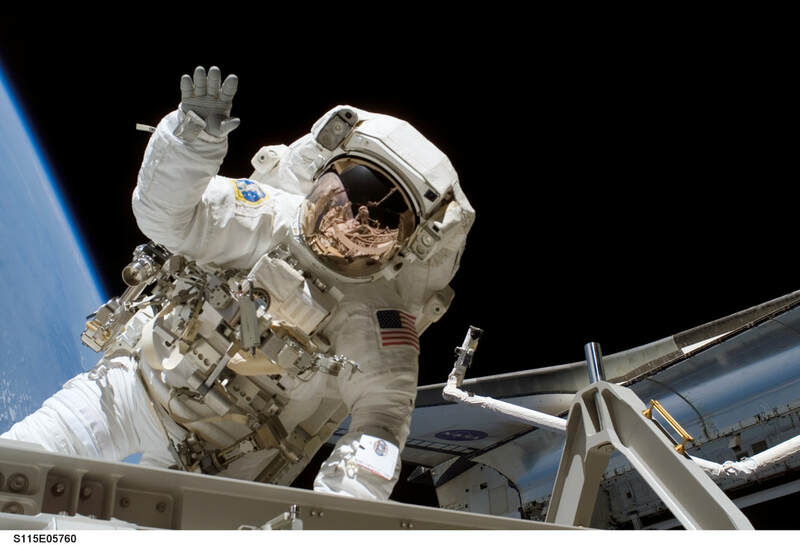 She has completed five spacewalks, totaling 33 hours and 42 minutes of Extra-Vehicular Activity (EVA) time. In August 2009, Captain Piper departed NASA and reported to the Naval Sea Systems Command. She retired from the U.S. Navy after 30 years of Active Duty Service in July 2015. She and her husband reside on Whidbey Island. with Flavors that are Out of this World! Rice & Beans and salads. A burger bar with all thing decadent. Fixings to include, pork belly, caramelized onions, Brie cheese, and how about a side of tater tot poutine with gravy and cheese, eh? THANK YOU to our many awesome AUCTION DONORS! and countless more generous individual and business donors!